Rich deciduous forests, often growing with H. appendiculatum. The flowers are white on this species in Michigan (although said to be sometimes pink-purple elsewhere). 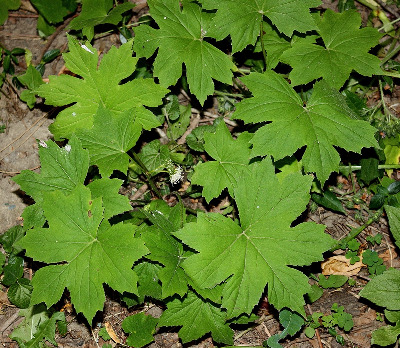 If there are hairs on the pedicels and peduncles, they are relatively stiff as well as sparse. The stem is usually also glabrate. MICHIGAN FLORA ONLINE. A. A. Reznicek, E. G. Voss, & B. S. Walters. February 2011. University of Michigan. Web. 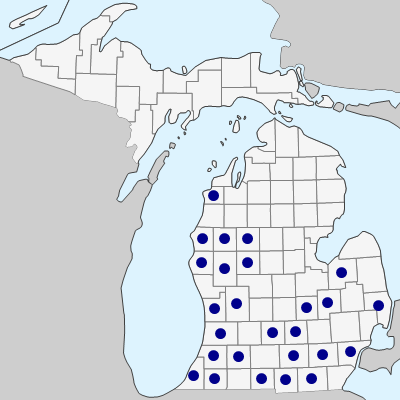 April 24, 2019. https://michiganflora.net/species.aspx?id=574.